Toronto's Landscape Experts No Landscape Job is Too Small For Us! 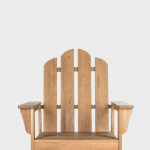 Land Effects is a Landscape Design and Build company located in the east end of Toronto, Ontario, Canada. We specialize in landscape transformations that make our clients' dreams come true. We do: • landscape and pool-setting design and installation • outdoor kitchens and living spaces • decks and patios • cabanas and pergolas • water features and luscious gardens • and more. Bringing your vision to life is what excites our creativity. Designing and building complete landscaping transformations is where we deliver the best of what we have to offer: creative design tempered by the practicalities of construction and budget, and professional building and installation with an eye on the overall creative intent. 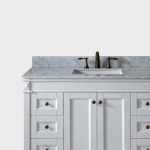 We see every project through from design to final completion, or, as we like to say: "From Design to Ready-to-Enjoy™." Our mission is simple: "Design and build landscape and pool settings that transform our customers' outdoor spaces and delight them beyond their expectations." 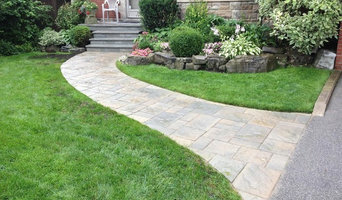 Toronto's Expert in Patios, Walkways, Interlocking Stone & Much More! Today’s market for landscaping and construction can be confusing and overwhelming. At Forest Ridge it is our mission to help you to not only understand the process of construction, but also to be an integral part of the design and creation as well. Our design team will work together with you and your family to understand and respect your individual needs and concerns. When you’re thinking about bringing your backyard dreams into reality, trust a family-owned construction company with 25 years of landscaping and pool building experience in York Region. Forest Ridge Landscaping has built some of the finest swimming pools and backyard dreams and continues to set the industry standard for excellence. We can accomplish this high level of excellence and quality by selecting only a few projects to partner with each year. We want to build a lasting relationship with our clients through dedication to service and workmanship that you can’t always find in such a confusing industry. By selecting a limited number of projects per year, we can lavish individual care and attention on each of our projects and scrutinize every detail from the initial plan to the finished landscaping. Toronto's Leading Outdoor Design-Build Expert - Best of Houzz 2017! 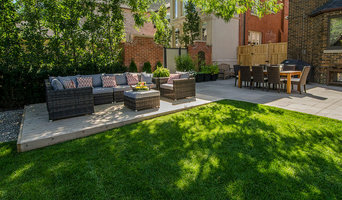 Toronto's Comprehensive Landscape Contractors - 4x Best of Houzz! Beyond Landscaping is a full-service design and build company. That means we design your dream landscape—and then we build it. Because we see the process through from a blank canvas to the finished masterpiece, we can ensure that the finished product matches the original vision. 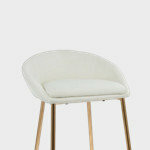 We offer a variety of design options to fit your specific needs and budget. Whether your project is large or small, we use the same process to take you from design to build. Genus Loci Ecological Landscapes Inc. is a progressive, full-service landscape company based in King City, Ontario. 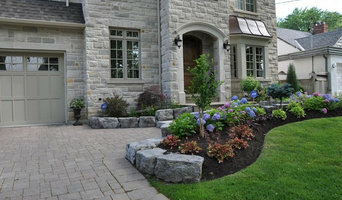 Serving the Greater Toronto Area, our team of landscape architects, builders, and horticulturalists work in collaboration with associate surveyors, engineers and tradesmen to offer a streamlined, landscape service for projects big and small in the residential, commercial, and public sectors. Here are five key reasons to entrust Genus Loci with your landscape project: 1. High Level Design Service: We take design very seriously - it really is "where the magic happens". We offer a high level, modestly-priced professional design service to create uniquely customized, thoughtfully inspired and exquisitely detailed landscapes and outdoor living spaces that accurately reflect your vision, needs, wants and budget. 2. Quality construction and workmanship: Our in-house construction division handles virtually all the installation work. 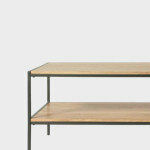 Where necessary, we rely on highly qualified sub-contractors to tackle specialized aspects of construction. Our chain of command includes a site supervisor, a project manager, a site foreman and lead hands, all in direct line of communication with the project designer to ensure each project meets our rigorous quality control standards, stays on track, and remains true to the designs. 3. Efficiency: Genus Loci streamlines the traditional client/designer/third party contractor process by offering a seamlessly integrated design and construction package that a) saves you money by reducing professional design and administrative fees; b) ensures a smooth and efficient transition from design to construction; c) shorter, more efficient turnaround time from start to finish. 4. Effective Communications: Effective communications and transparency is a priority through the design, estimating, construction and post-construction project stages. Our integrated design-build model ensures strong lines of communication between the client, designer and project supervisor. Our process is flexible, adaptable and responsive when site-dictated or client-requested design changes are needed "on the fly" as construction progresses. 5. Continuity: Genus Loci cultivates long term relationships. Our integrated approach allows us to see your project though from initial vision, to concept development and construction, through to warranty periods and on-going maintenance and support. What does a Scarborough landscape contractor do? Landscaping contractors execute lawn, garden and hardscaping plans that have been drawn up by an architect or designer. They may also provide design services on their own. After the everything has been installed, landscape companies can make adjustments, maintain plantings, take care of weeds and pests, and perform other tasks to keep the scheme looking its best. A licensed Ontario landscaper should have detailed knowledge of Scarborough, ON weather and climate trends and conditions, and can choose plants and materials that are well suited to the area. Residential landscape companies in Scarborough, ON also handle many of the same general duties as builders, including arranging for construction permits, hiring subcontractors and making sure that designs comply with Ontario building codes. Find Scarborough landscaping services on Houzz. Narrow your search in the Professionals section of the website to Scarborough, ON landscape contractors. You may also look through photos of Ontario landscapes to find one you like, then contact the landscaping company in Scarborough, ON who worked on it.